Golf spin is an integral part of the game and is dependent on the ball as well as your club. Dedicated golfers know that their game is always changing and evolving, but many players concentrate so much on upgrading and improving their club selection that they wind up ignoring one of the most important pieces of equipment in the game: the ball. Learn how to choose a ball with the spin and feel that you need to enhance your skills and help you cut strokes off your scorecard. Take some time to consider every aspect of your golf game. Think about the areas in which you need improvement and those in which you excel. How could these areas be affected by the spin of your ball? Could you use more distance off the tee? More control on your approach shots? Better touch on the putting greens? Give your game an honest assessment to learn what kind of ball and spin you need to try. Do a little research on golf balls. Balls are designed to perform in certain ways based on their construction. Two-piece balls are designed for maximum distance and minimal spin, while three- and four-piece balls are built for control, feel and excessive spin. Decide on a ball that seems to balance well with your playing style, and then narrow it down to the brands you feel most comfortable with. 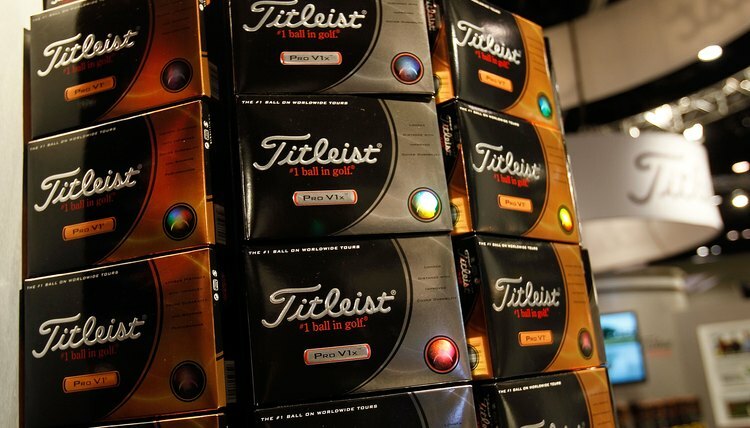 Take your new balls for a test-drive. Choose a few different brands and styles and take them to the course for a tryout. Mix up your club selection to get the best feel for the balls, and be sure to hit shots from different distances and angles. Note how each ball feels off the club, how well it controls, how far it flies and how it responds after landing. Is it spinning enough and in the right direction? This should give you a good idea of how much spin to expect once you incorporate a ball into your regular game. Weigh your options. Consider how each ball that you tested performed on the course and then think about which of those features is most important to you. Did some of the balls spin too much or not enough? Did one not spin consistently in the right direction? Judge the balls' performance and then think about your normal playing style and habits. Which ball and spin style fits best with your game? Choose a ball based on the factors you evaluated and your performance needs on the course. Make sure you take your time and feel comfortable with the decision. Then, get to work. Stock up on your new favorite ball and head to the course for more practice. The better acquainted you get with the spin and feel of your ball, the more results you will see on the course. S. Courtney is a writer/editor with experience in a variety of fields, notably sports, travel, tech, health, fitness, and general entertainment. Courtney holds a bachelor's degree in science, sport and business management and marketing from Kennesaw State University.